The Eternal Light Peace Memorial. The gas flame was not lit on a rainy Wednesday. The shaft of the monument is made of Alabama limestone, and the base is constructed of Maine granite. 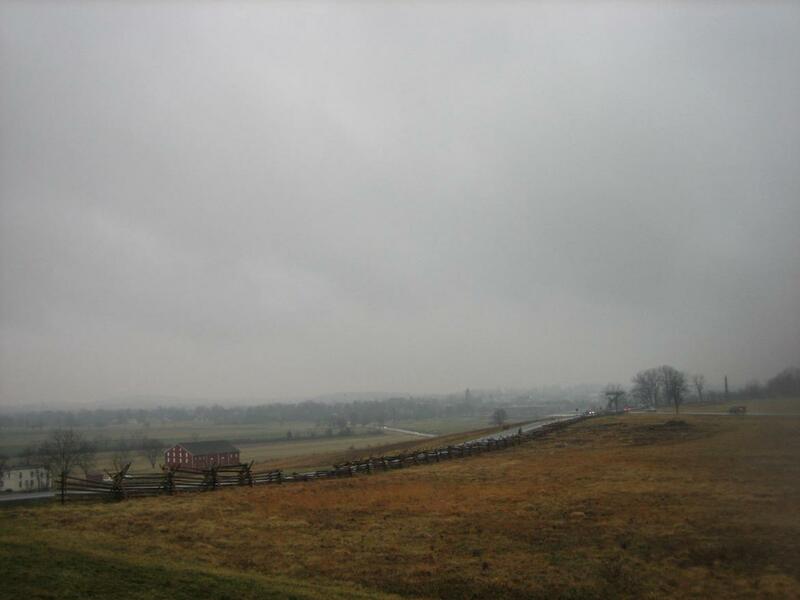 This view was taken from the south facing north at approximately 5:40 PM on Wednesday, March 19, 2008. 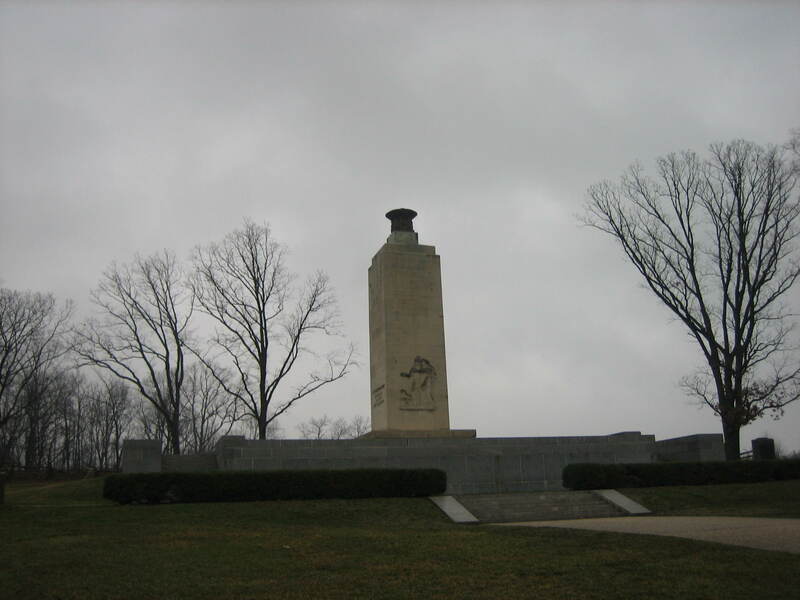 Heavy rains visited the Gettysburg area on Wednesday, and caused the Eternal Light Peace Memorial on Oak Hill to perish. Rains will frequently douse the gas-powered fire. Although the monument contains a system to automatically try and relight itself, that usually occurs after it has dried out significantly. The Gettysburg Daily was hoping for some light on this dreary day, but the water proved victorious. President Franklin D. Roosevelt dedicated the Peace Light on July 3, 1938. 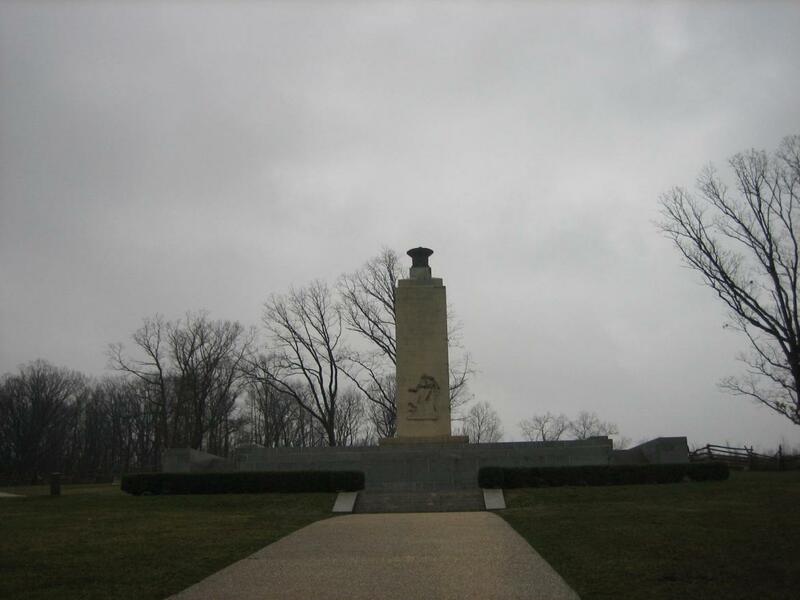 Approximately 1800 Union and Confederate veterans were in attendance that day 75 years after the battle. The youngest veteran was 88 years old, and the oldest was 112 years old. 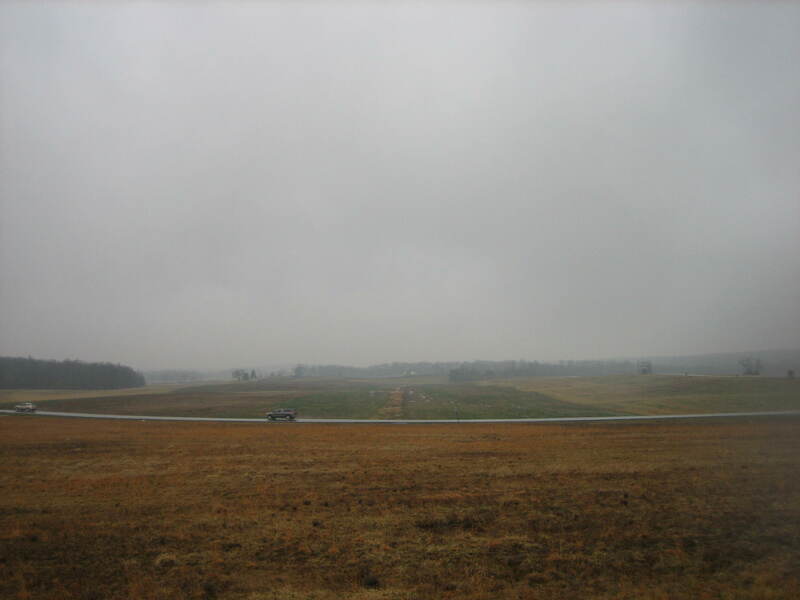 View from the southwest facing northeast at approximately 5:40 PM on Wednesday, March 19, 2008. From the location of the Peace Light, the mountains and other areas to the west were hidden from view by the fog. View from the northeast looking southwest at approximately 5:40 PM on Wednesday, March 19, 2008. From Oak Hill, the white of the McPherson Barn is just visible a mile in the distance. View is from the north facing south at approximately 5:40 PM on Wednesday, March 19, 2008. 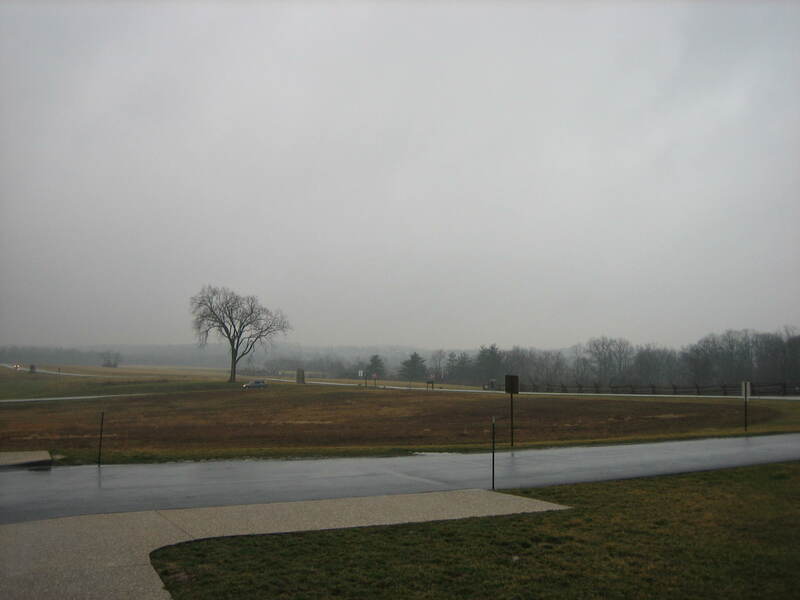 The town of Gettysburg, and the hills south of town are also difficult to distinguish from Oak Hill this afternoon. This view was taken from the northwest facing southeast at approximately 5:40 PM on Wednesday, March 19, 2008.